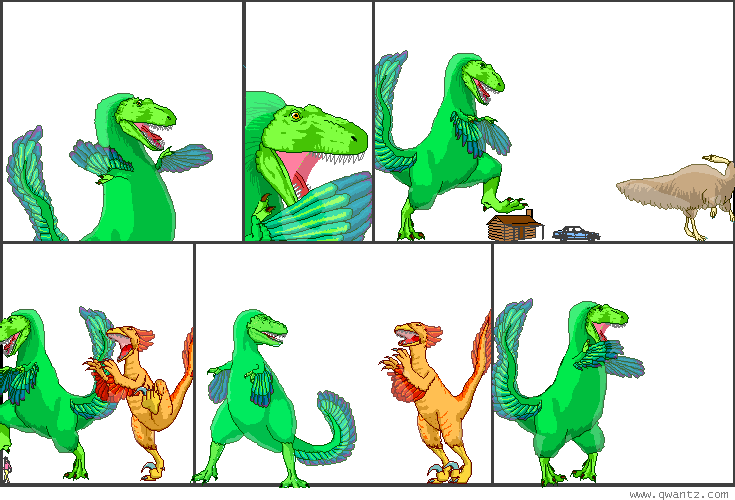 Dinosaur Comics - February 13th, 2008 - awesome fun times! February 13th, 2008: Chris linked me to Dan Clowes's very sweet Mister Wonderful, which was serialized in the New York Times, but which you can read for free right now! Just be careful: the list goes from Conclusion to Chapters 1 through 19, and you really want to save the conclusion for last. Enjoy!